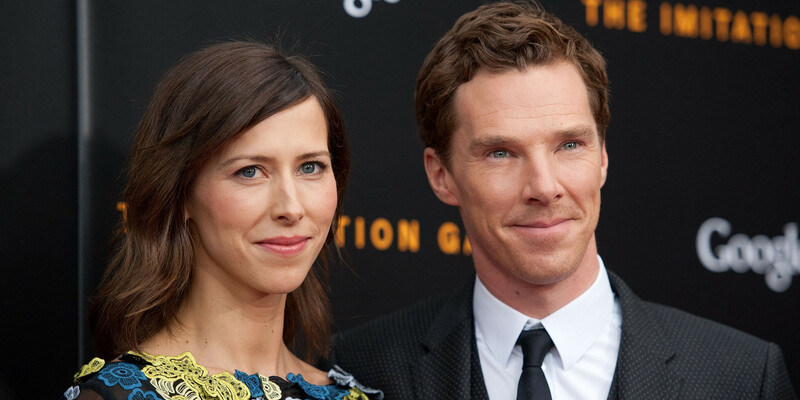 And Ben and Sophie too! Valentine’s Day is here whether we want it to be or not. Some lucky people will be spending the day with their significant other. Others, like myself, will be spending it with Netflix. No matter how you celebrate the holiday, everyone wins when it comes to discounted chocolate in stores the next day. While Sherlock is not in itself a romance, the leading men of the show have a love life of their own. 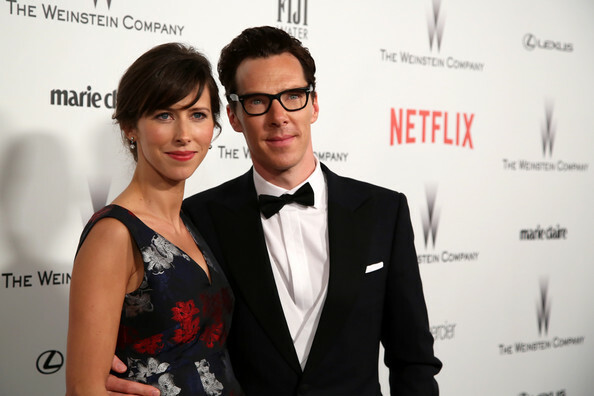 We are all familiar with Martin Freeman’s partner, Amanda Abbington due to the fact that they played Mr. and Mrs. Watson, but the relationship between Benedict Cumberbatch and his fiancé Sophie Hunter is new territory. Martin and Amanda have been together for around fifteen years. Despite being together for so long, the two have yet to officially tie the knot. Amanda has said, “So many people I know got married after being together for years and then got divorced six months later. I think maybe we don’t want to spoil it.” Therefore, they’re not looking to say their wedding vows any time soon. The couple have two kids together, Joe and Grace. (While Martin was filming the Hobbit it was said that Sir Ian McKellen would read the kids bedtime stories when they were on set. I’m totally jealous!) Despite not being married, the two have no trouble expressing their love for each other. Amanda constantly tweets about Martin and as seen in the picture above, their not afraid of a little public display of affection. In Sherlock, we also see that affection as the two play John and Mary Watson. The chemistry they have on screen together is like no other. On the opposite side of the spectrum, Ben and Sophie are a bit more reserved when it comes to their public displays of affection. It’s hard to catch a smile from the two let alone a hug or a kiss! While Benedict Cumberbatch is well known to all of us as our wonderful consulting detective, his lovely fiancé may not be. Not a Hollywood star, Sophie Hunter is a name in the theatre world, as a talented stage and opera director – she is most well known for her avant-garde plays, including the award-winning The Terrific Electric. She is also an occasional actress and has appeared in such British TV shows as Midsomer Murders and Torchwood. 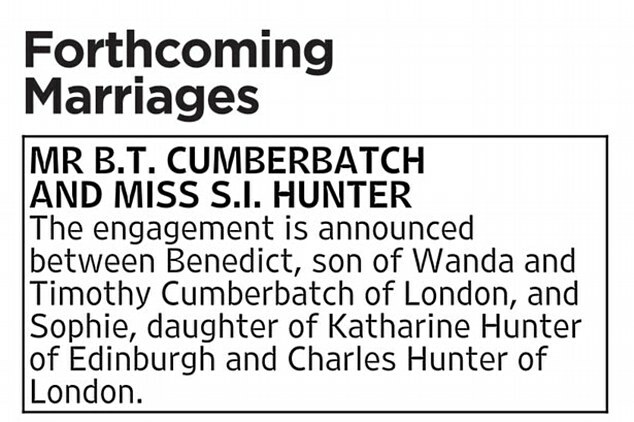 The two announced their engagement in a traditional way: a single advert in the births, deaths, and marriages column of The Times. Ben and Sophie had only dated for five months before their engagement in November, however they have known each other since they worked on Burlesque Fairytales together in 2009. Recent reports have stated, that just three months after their engagement the couple will be holding a private wedding ceremony today. You read that right! Today! Whether the reports are true or not is yet to be confirmed, but it is said the couple will be saying their vows in front of a small group of family and friends. Things are moving fast for this couple as just last month it was officially announced that the two are expecting their first child together! I don’t know about you, but I am very happy and excited for this precious new couple. And if they are saying their vows today, I wish them all the best on their special day!